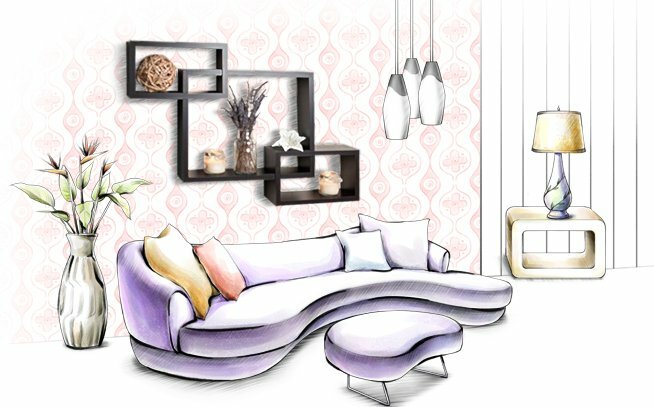 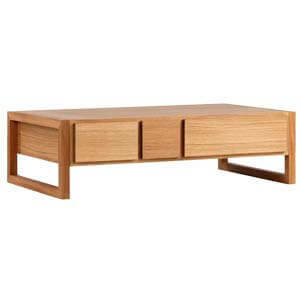 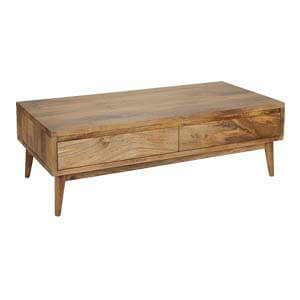 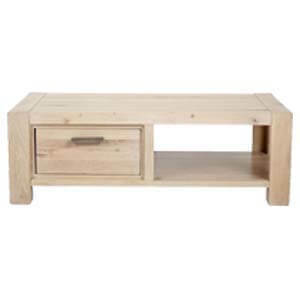 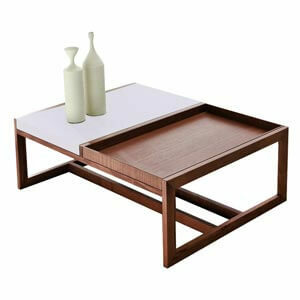 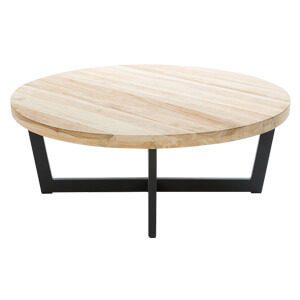 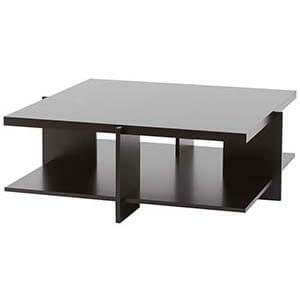 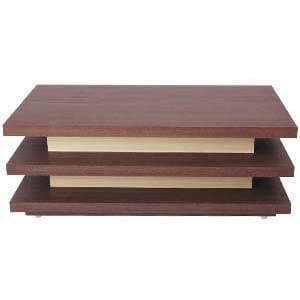 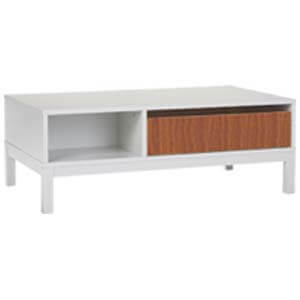 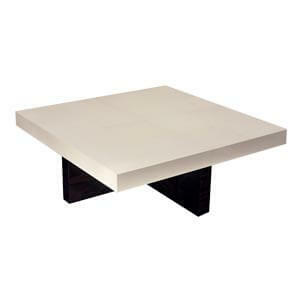 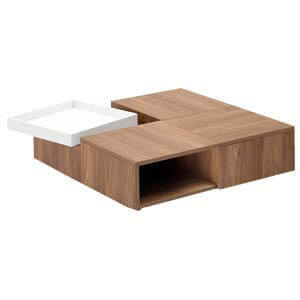 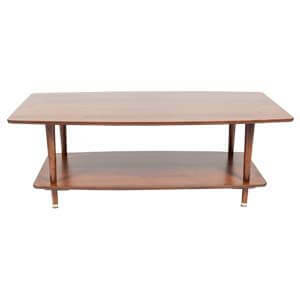 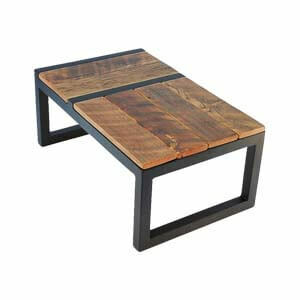 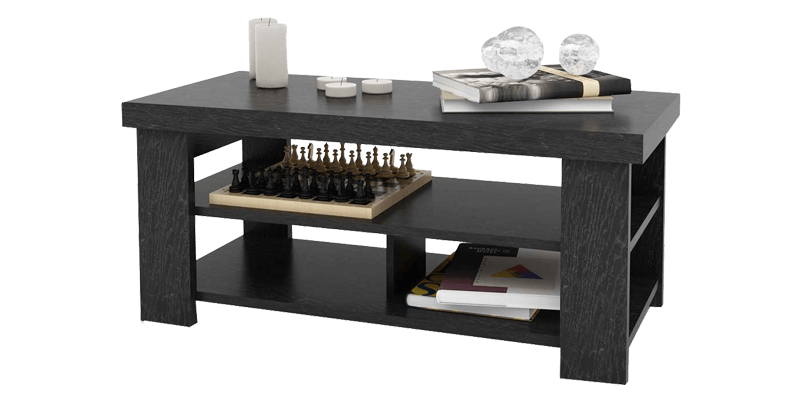 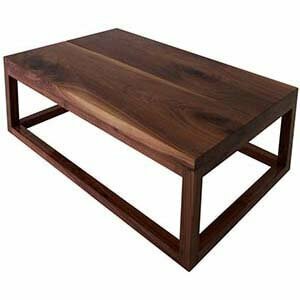 Featuring an open design, this contemporary rectangle coffee table is for homes with traditional or modern interiors. 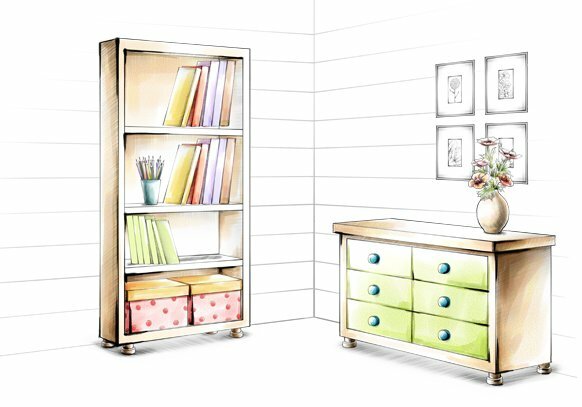 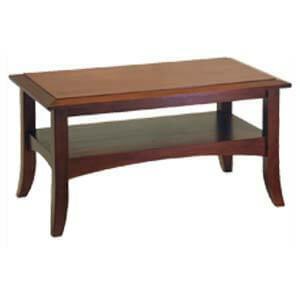 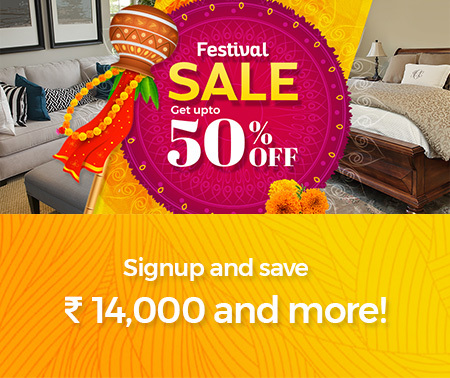 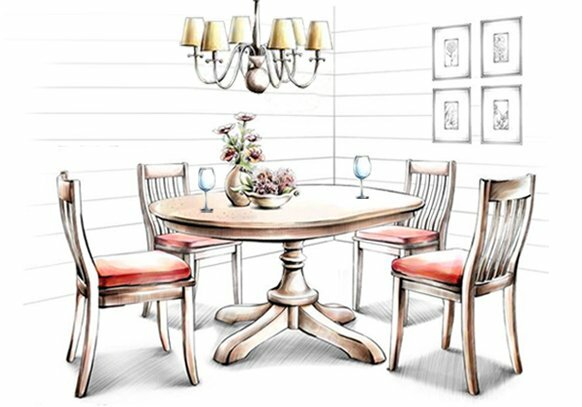 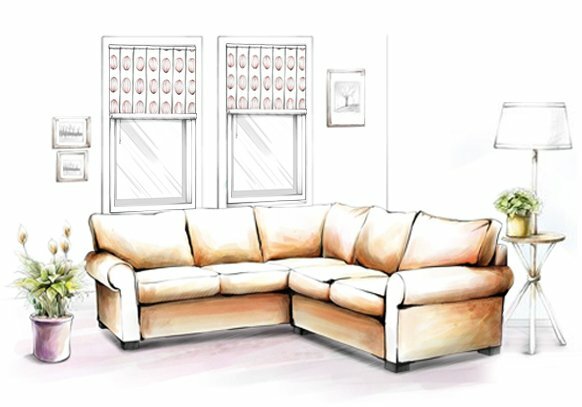 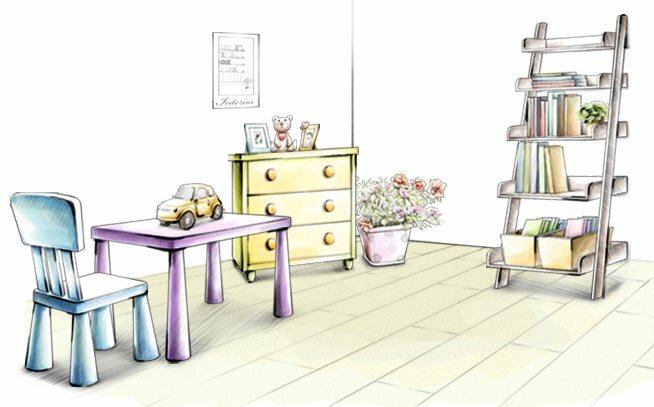 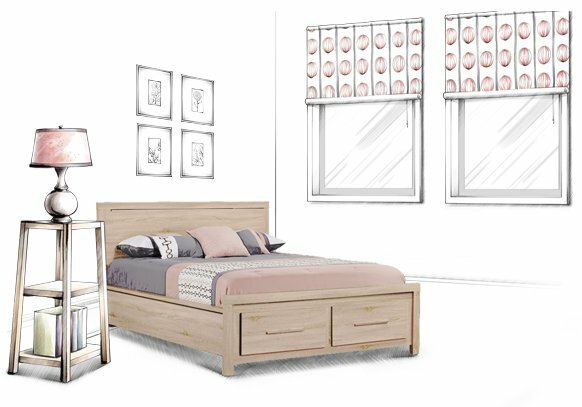 The table comes with a thick laminated top, elegantly seated on four straight flat legs. 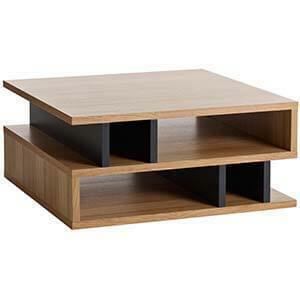 Elevated, it has open shelves apt for storage or display.